Learn about the latest technologies for high quality, low latency contribution in broadcast and internet streaming workflows. See how Haivision’s Makito X Series of encoders and decoders can help you overcome the challenges of unpredictable network conditions in remote video transport. 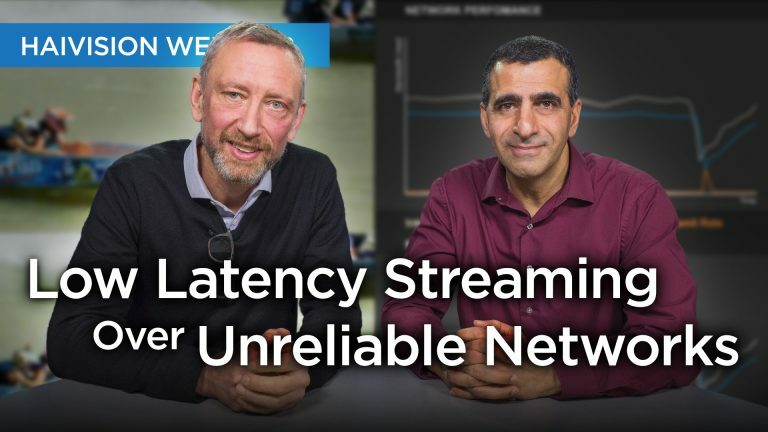 You’ll learn how to adapt your streams to fluctuating bandwidth, which is common with mobile productions over LTE networks and public internet or satellite links affected by weather. Learn how the SRT open source protocol provides an alternative to existing proprietary technologies with complex business models. See how new technologies can help you adapt to bandwidth fluctuations and automatically adjust the video bitrate so your stream never fails. Understand why Haivision’s Makito X Series of H.264 and HEVC encoders and decoders continue to be the industry’s first choice for low latency video transport over any network.